Sydney's newest Music Venue, "Music @StreetMarket" presents King B Fine 'Afrikaya' Reggae. King B Fine has based his career in Sydney since 2010 performing at concerts and festivals including as headlining artist for the 2015 Music and Colour Festival in Kuranda, Northern Queensland. 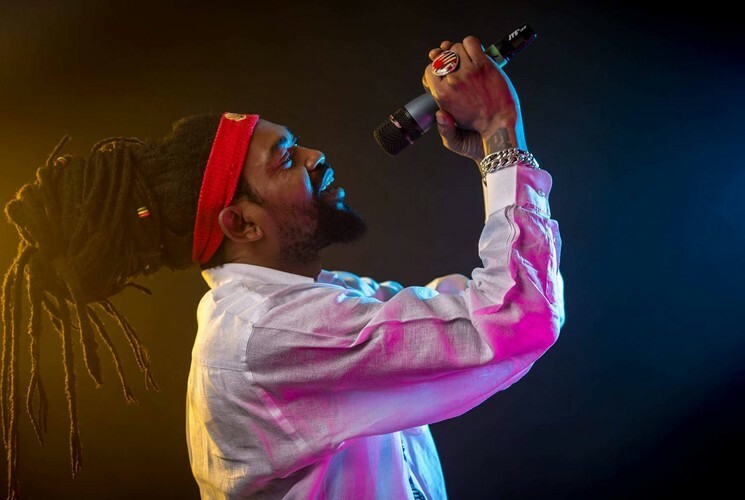 Touring Europe and sharing the stage with some of Reggae's greatest artists such as Anthony B, Cecile, Luciano, Macka B, Fantan Mojah, Vanguard Leader "Fitta Warri", Julian Marley, Sizzla and many others, gave him the opportunity to develop his own unique and energetic style of showmanship. A Reggae Dancehall Artist, performing Festivals from Nigeria to Vienna, Italy, Slovenia & Hungary King B-Fine has made TV appearances in Europe for MTV, made music for Short Movies, Documentaries & TV commercials. Originating from West Africa, King B Fine is also a AAMMA Award and Profesional Excellence Award winner. A musician with a story to tell thru Reggae & Dance. Don’t miss this opportunity for an up-close & personal performance! Capacity for this show is limited to 70. Dinner settings of 6 or 7pm. Recommended as home of "The Best Ribs In Sydney" and "The Best Tapas In Sydney" by The Urban List. Heralded as a 'sensory celebration' by Concrete Playground, and a 'free-for-all snackfest' by Time Out.